Foot anatomy, artwork. The muscle on the right of the sole of the foot is the abductor hallucis. At centre is the plantar fascia (white), a layer of fibrous connective tissue in the sole of the foot that supports the arch. The muscle at left is the digiti minimi, which extends the little toe. At bottom left is the calcaneus (heel) bone. 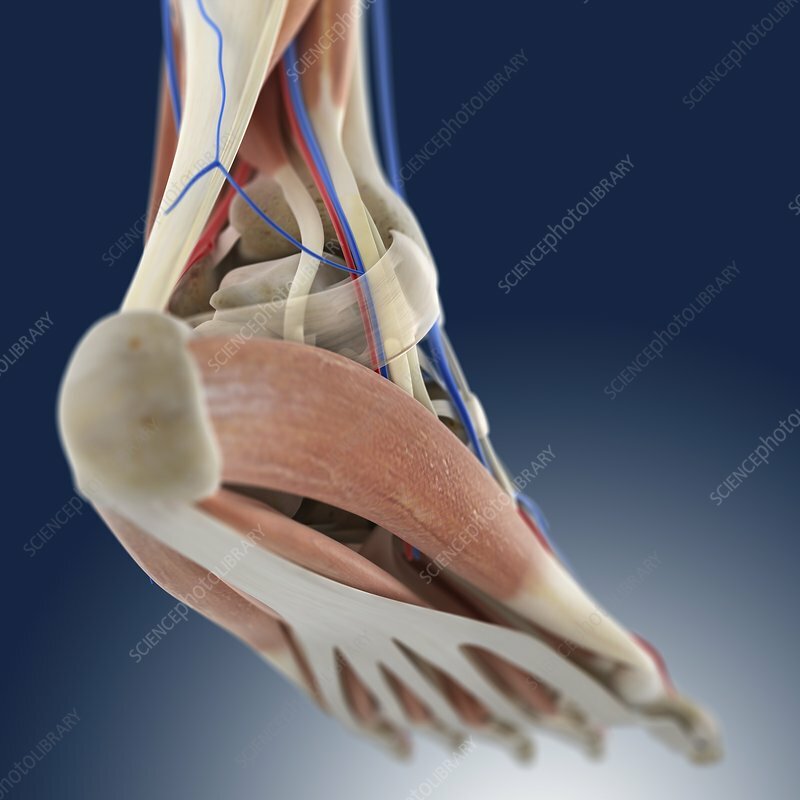 At upper left is the Achilles tendon (white), the largest and strongest tendon in the human body, which connects the heel bone to the calf muscles.